We invited students participating in Berkeley Connect in Fall 2017 to enter our Student Voice Contest and share with us a memorable experience they had in Berkeley Connect. The winning entry below was written by senior Danny Hutto, who participated in Berkeley Connect in Philosophy. 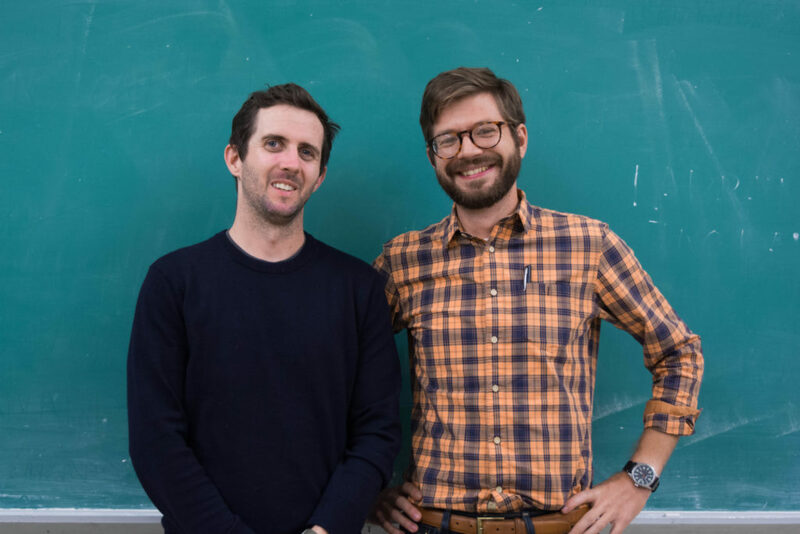 Danny (left) is pictured here with his Berkeley Connect mentor Richard Lawrence. My favorite Berkeley connect moment is not a singular moment, so much as it is what the program as a whole as afforded me. As a graduating senior, what Richard’s small-group meetings offer is more than just a space to discuss topics related to the field of philosophy; they provide a dedicated time and space that reminds me – I am not alone. What I mean by that is, a lot of my academic experiences at Berkeley have been ones requiring isolation. Such is the life of an English major I suppose. For better or worse the majority of work done outside the classroom in my field can be lonely, but Richard’s sections always reminded me that I’m not alone. Whether it’s a student giving advice to another student or just group suffering, I leave my Berkeley Connect section with a renewed sense of my place within the broader Berkeley community. In such a large, competitive academic environment as Berkeley, it is comforting knowing that there is one place I can go to escape the “noise” and just connect (no pun intended) with other people.